Roof repair for my sister’s home. 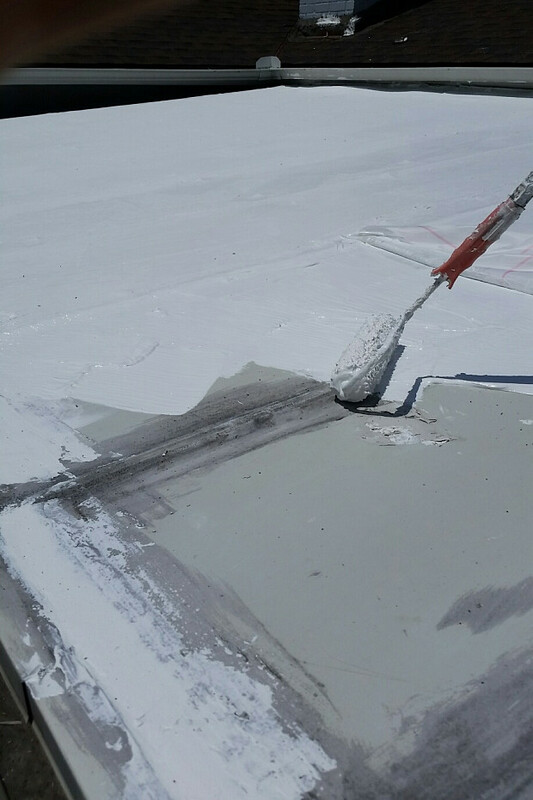 He was certified to apply a protective coating to the roof rather than completely replacing it. Great product and an awesome job. He would be one of the top people I’d recommend for any kind of roof or gutter work. He’s honest, he’s a good price, and he did everything he said he was going to do. 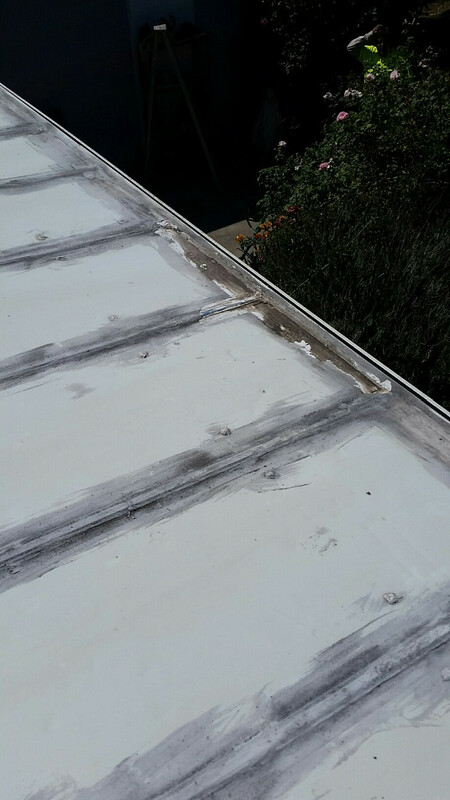 I found an amazing roofing contractor to repair my sister’s leaky roof. She lives in Southern California and is disabled, so I needed to find a roofer who could do the job while I was down there visiting for a week. My sister has a flat roof covered with insulated panels like on mobile homes, and the seams were letting in water. In the past, people had tried to patch it but it just couldn’t be patched. The contractors who came out this time wanted to replace the roof completely, for bids around $3500. And I said, “For that much money, I’ll do it myself. I can tear it off and put a shingle roof on it” … but I knew there had to be a product out there. I just wasn’t exactly sure what. 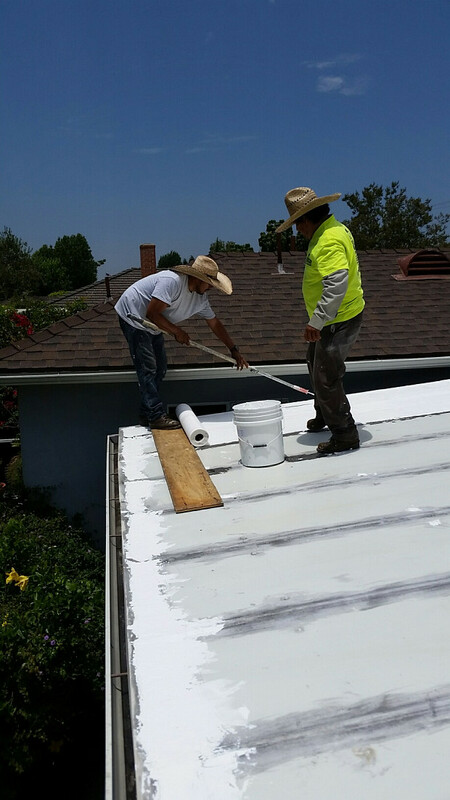 I chose Marco, of MA Roofing and Rain Gutters, Inc, because he was willing and able to restore the roof rather than replace it. He knew right away exactly what product to use. The next day he came out with a helper and the two of them worked on it for 9 hours. 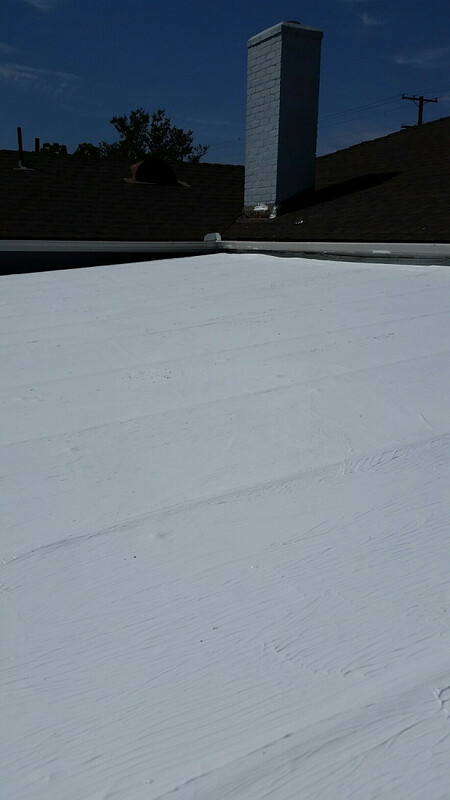 They covered the entire roof with SureCoat, which is warrantied for 20 years. Can’t beat that guarantee. What a great product and they did an awesome job! They saved me a bunch of money, since I didn’t need to replace the roof. It hasn’t rained since they did the work, but we need more rain in California so nobody will complain when we get it. And my sister’s home will stay good and dry inside. Time Was Of The Essence When My Tenants’ Roof Blew Off by Georgina F.
Interior Painting and Repairs Restore the Home I Bought at Auction by Margaret C.